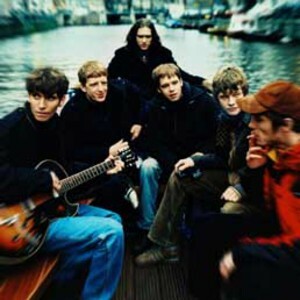 The Coral are a rock band that formed in 1996 in Hoylake, Wirral Peninsula, England. The band consists of James Skelly (vocals, guitar), Lee Southall (guitar), Paul Duffy (bass), Nick Power (keyboards) and Ian Skelly (drums). The band's music is a mixture of 1960s-style psychedelia and folk-rock with old-fashioned country and modern alternative rock influences. The Coral have released 7 albums (The Coral, Magic and Medicine, Nightfreak and the Sons of Becker, The Invisible Invasion, Roots & Echoes, The Singles Collection/Magic & Mysteries, and Butterfly House). The band's music is a mixture of 1960s-style psychedelia and folk-rock with old-fashioned country and modern alternative rock influences. The Coral have released 7 albums (The Coral, Magic and Medicine, Nightfreak and the Sons of Becker, The Invisible Invasion, Roots & Echoes, The Singles Collection/Magic & Mysteries, and Butterfly House). Their self-titled debut album was nominated for the 2002 Mercury Music Prize and later voted the fourth best album of the year by NME Magazine. It was announced on 9 January 2008 that Bill Ryder-Jones would be leaving, but the band would continue as a 5-piece.